We, structural engineers design all the members of a building, whether it might be a column, beam, a tie member or a strut anything, but we design it to resist certain forces. We predict a load, calculate forces in different members and design them member to resist a particular load. But sometimes because of some undetermined or unpredicted load the forced in certain members increase to a value which it cannot withstand and the LObmember fails. But what are the different possibilities of failure? How can a member fail? Don't worry, here is what we are going to talk about. 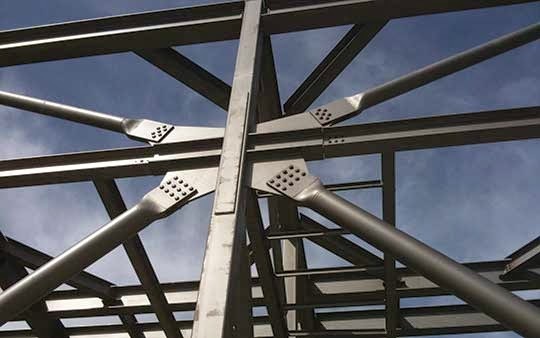 The possible types of failures in steel structures. Steel is a ductile material and to build a structure using steel is like setting up a huge Jigsaw puzzle. You have 1000 different members and you need to connect them and tada..!! Your structure is up. But it is not as simple as it is visible. Steel being a very strong material leads to slender members. Now you can imagine the difficulties associated with it. Apart from being slender, each and every joint of the structure should be checked against the force that the joint is going to experience. It becomes risky and less efficient if we design every joint to be similar in a steel structure. So let's discuss the possible types of failures in the steel structure. 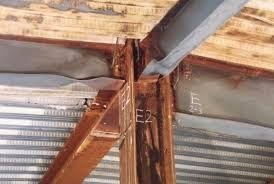 This is one of the most critical and most frequent failure in the steel structure. We can design any steel member quite beautifully with exact precision, but to design a joint, it becomes tedious. You need to consider the load envelope and then design the joint for the maximum possible force. But generally the connection fails first in case there is an unpredicted force. Any steel member can take the secondary loads because the material is uniform and casted as a single piece, but joint behaves in a brittle fashion and takes some predicted loads but not all of it. Now let us consider a joint of a steel building. Now, the joint above can fail because of the failure of the number of bolts or the weld length that we decide. Any underestimation in the calculating the values can lead to the failure. I remember one old saying for this kind of failure. "One bolt is no bolt..!!". I was told by one of my professor that while designing a connection even if the forces are such that one bolt can carry the tensile or compressive loads easily you should place two bolts at that connection. Seems quite different. But give it a thought, it seems logical and wise to use two bolts. The thing is, as a structural designer, your design may be perfect and you just use one bolt for the connection. But the construction is not in your hand, the bold material is not in your hand, accidents are not in your hand. They are random and they all have certain probabilities associated with it and these probabilities add up to increase the probability of the failure of the structure. Suppose you applied just one bolt and who knows that the bolt that is going to be connected in actual life will be weak or will have rust on it? There is a possibility. So it's always better to apply two bolts in place of a single bolt. But when you require 6 bolts, don't make it to 7, it will be illogical. Now you know what I am talking about. In case of weld, all you need to do is check the weld length. But then again, you need to be conservative in providing the weld length because welding is generally conducted on site. The connection is brittle and should be carefully designed. Flexural failure occurs when the beam fails in bending. Or you can say then when the lateral loads on the beam increase beyond its limit then this kind of failure takes place. 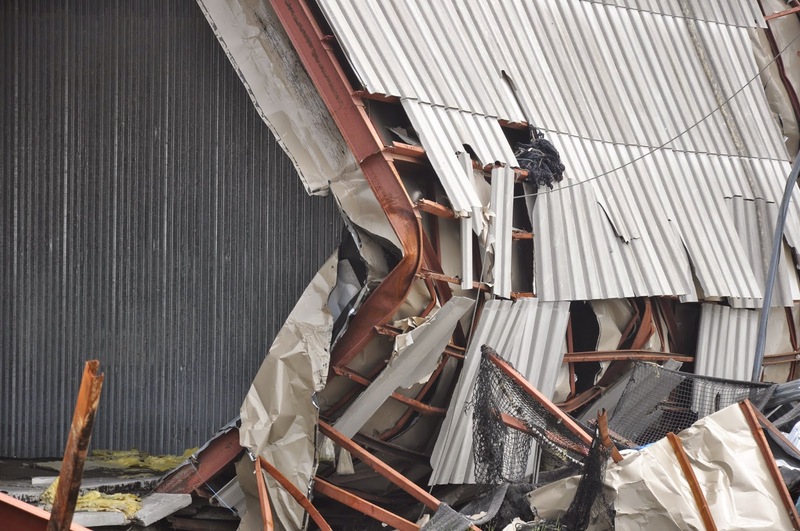 But these are one of the least occurring failure in steel structure and it is because we have a straight-forward formula and we need to see that which section will satisfy the criteria. But there is one more important failure of beams. Failure due to lateral torsional buckling. The images above shows how the lateral torsional buckling looks like. Why this happens? The reason is, this kind of failure happens when the compression flange of the beam is not restrained. When we apply load on a beam we assume that the load is applied exactly at the center of the beam, but it is not so in real scenario. The loads are present on the floor and there always in an eccentricity of the load, this eccentricity leads to a twisting moment and because the flange of the beam is not fixed, the beam twists as well as moves laterally. We should not be worried about this failure when there is a concrete deck attached firmly to the beam with the use of shear studs. 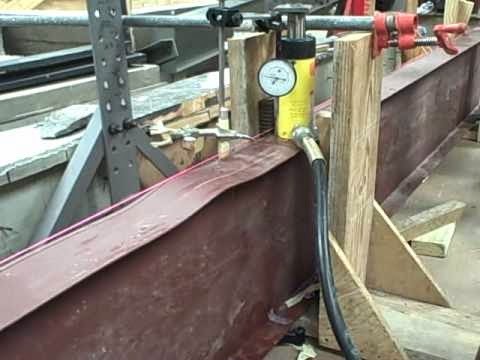 But in case of a cantilever beam, this condition should always be checked because a 7 or 8 feet cantilever beam generally fails in this condition because the compression flange of the cantilever beam is not braced with the use of anything. Failure in compression has been discussed in one of the blogs previously. It is much more important because buildings have "Columns". The link to the blog is here. 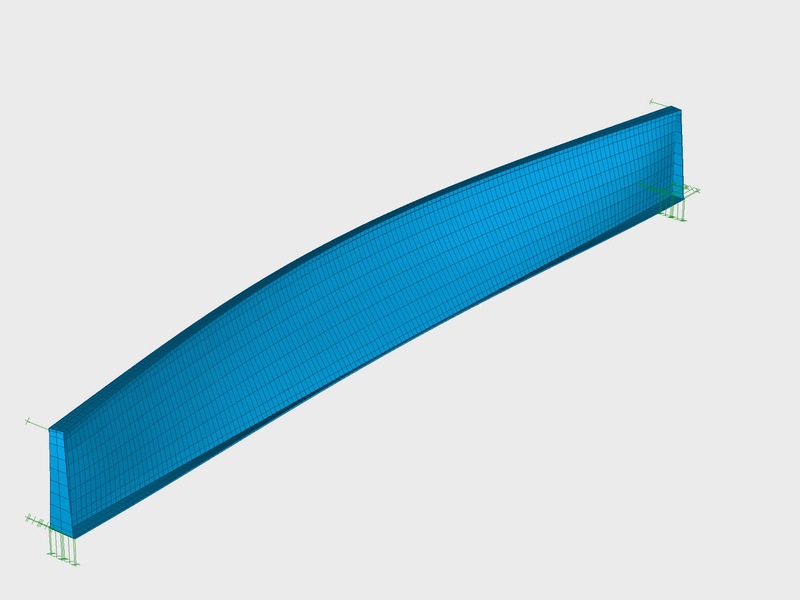 This failure occurs when you stretch a material bit too far. The possibilities of this is very rare if the structure is designed properly. But let me make a point over here. In this kind of failure the member is yielded first, then the necking phase comes into the picture and then it fails at the reduced cross section. This leads to a very high strain energy and it takes a large amount of load to fail the member in tension. But wait there is a mystery over here. There are two more failures in tension that we probably will not think about. One is block shear failure and other is net section rupture. Wait..!! What? Yes, these are the most dangerous failure and happen near connection. A structural engineer need to be cautious while designing a member in tension. 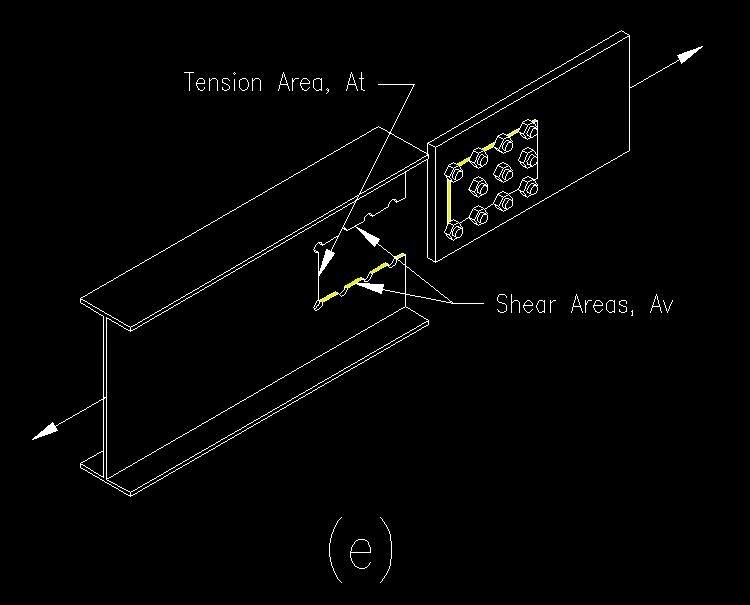 When we design a tension member we check that the cross section of the area is sufficient or not for a particular force. Let us say that the area is A. Now, near the connection we create a bolt hole and so the area of the member reduces at that particular location as shown in the figure above. Let us consider that the area at the location of the bolt hole be 0.9A. When we check whether this area is sufficient for the applied load and find that the load is exceeding, then the member will fail at the location of the bolt hole and this is called net section rupture. In this type of failure the complete ose side of the connected member comes out. It is shown by the grey area in the picture above. When we pull the member it generates tension forces near the connection. The bolts will experience shear because of it and a small section of the member material will experience shear. If the stresses are high but not sufficient to fail the member at net section, then it will shear apart the member along with some amount of tension. This type of failure is bit difficult to understand but you can actually do a small experiment. Take a paper and some nails. Attach the paper with the help of nails on a wooden piece. Make sure that you do not connect the nails at the middle of the paper, connect it to either side near the end of the paper. Then pull the paper by slowly increasing the force and you will understand this failure really well. Suppose if your member is very strong and it cannot fail at global level like tension or compression or bending or anything. But then if the forces exceeds from a certain limit, then it can lead to some local failure. One of the most common local failure is local buckling of I sections. When the stresses exceed but not enough to fail the member completely then there occurs a local failure called local buckling of beams. In this failure there are high local stresses developed at imperfect locations of the member. This local members cause the beam to show some unorthodox behaviour and fails in certain region. This causes a reduction in the stiffness of the member but it can still carry load. This kind of failure is a very good failure as it gives an indication that the structure should either be repaired or it should be demolished. In the next blog we will talk something about designing. How should we design the structural elements. Till then, stay tuned. Have a nice day. Thanks a lot brock. We also have a facebook page, you can be a part of the family. And yes, you can also suggest some topics on which you wish to have a clear idea. Thankyou very much. I like the detailed explanation. Do keep this informative work. I appreciate you took time and gave us some feedback. Thanks for sharing these different types of possible steel problems. It's important to know possible problems because they can often be avoided. For example, you mentioned that failure of connection is one of the most critical and most frequent failure in steel structures. I bet that's a fairly simple thing to avoid, yes? I'd love if you could go into detail about some of the precautions that should be taken in order to avoid steel structure failures!